First 7 Crowns professional title holder Yoshiharu Habu gives in-depth commentary to shogi games by players outside Japan. Improve your shogi by listening to Habu's Words! The games selected are by players (with grades ranging from 15-kyu to 5-dan) from various countries around the world - Belgium, Brazil, England, France, Germany, Holland, Sweden, Thailand, USA. 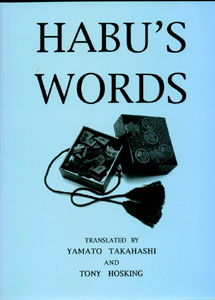 By studying Habu's Words the amateur player can step up from one level of play to the next.